Google Home is officially available to purchase in the UK from today, but which smart home devices will users be able to control with it? The Amazon Echo is already the favourite of many who wish to interact with their smart homes using voice control, so CE Pro Europe hunted down the best Alexa skills and found out whether they would be available on Google Home. Update 16/08/2017 : Avis, Deezer, D-Link, Dominos, Hyundai, iDevices, IKEA, LG RoboVac, Lutron, Neato BotVac, Netatmo, Roomba, Tesco and Tile have been added to the Google Home list. Update 03/05/2017 : Users can now control smart home devices from Leviton and iHome, while lighting products from Emberlight now work with Google Assistant. 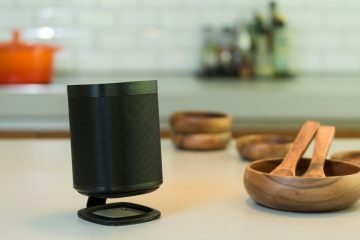 Samsung’s Artik Cloud IoT platform has also gained Google Home support. Update 25/04/2017 : Iris by Lowe’s, Lutron Caseta and Osram Lightify have officially launched support for Google Home. This list has been updated to reflect the new additions. The Anova Precision Cooker Bluetooth + Wi-Fi makes using a sous-vide easier than ever. The device itself can attach to just about any pot and ensures cooking perfection. The Google Home integration enables users to set the temperature, cook time, check the status of the cooking cycle and search for recipes all through voice commands. It’s not the first time that the company has supported voice control, however, with a similar skill also available for Amazon Alexa. Samsung’s ARTIK Cloud is designed to make the lives of manufacturer’s easier, by allowing them to quickly and efficiently connect their devices to the cloud – without any significant leg work. Now, the IoT platform is officially supported by Google Home, allowing users to control ARTIK Cloud devices through their voice. There is a wide range of devices support by ARTIK Cloud, including the Nest Thermostat, Kevo Smart Lock, and Ring’s Connected Door Bell. Unfortunately, none of those devices can be controlled using Google Home just yet. That’s because, at the time of writing, only Legrand’s hubs can be controlled. August creates one of the world’s most popular smart locks, and has this year opted to delve into the realm of voice control. August officially began supporting Alexa back in January, although it now also supports Google Home. Using Google Home users are able to lock their August using voice commands. It’s also able to check the status of the lock and even list all the available locks on the Google Home account. For security reasons, August has left out support for unlocking using voice commands, although it says that it’s currently working on implementing that, and it should be available later this year. The August smart home lock is yet to be made available in the UK. While Avis may not necessarily be a smart home device, the company does now allow its customer to request a rental car using the Google Assistant. To use the Google Home skill, users will need to have an Avis Preferred account, but once it’s linked with the smart speaker, users are free to rent a car, amend a current booking, or just review a previous trip. Belkin’s popular line of plug-and-play smart home devices officially added support for Google Home earlier this year. Through Google Home users can control everything from lighting to outlets, with more Belkin Wemo devices being added all the time. The American electronics retailer may not offer a product available for purchase in the UK, but its smart home line-up can already be controlled using Google’s AI. Currently control is limited, however, with Best Buy only offering a Wi-Fi smart plug as part of its line-up. Emberlight is yet another competitor to Philips Hue, Osram Lightify and LIFX. That’s despite the company offering any bulbs of its own – instead the company’s range of smart adapters take just about any bulbs – including incandescents and halogens up to 40W, as well as dimmable LEDs and CFL – and makes them smart. That means users don’t need to heavily invest in one ecosystem, and can instead take advantage of cheaper, traditional bulbs. Now users can control all their lights using Google Home and Emberlight. First Alert may be better known for its smoke alarms and carbon monoxide detectors, but its first thermostat is already supported by both major smart home AIs – Alexa and Google Assistant. Unfortunately for UK users, First Alert has yet to bring its thermostat to the UK. Fortunately, there are plenty of other manufacturers to take its place. Having developed the world’s first self-contained refrigerator, Frigidaire is not afraid of keeping up with much younger start-ups. The company’s Frigidaire Cool Connect, an air conditioner for the American market, is one of the first to support Google Home. Using voice control, users can control the temperature, set the fan speed and even ask Google about the Cool Connect’s current settings. Like the Belkin Wemo line-up, Geeni offers a range of smart outlets and bulbs. The company added support for Google Home on March 28. Honeywell is the world’s largest manufacturer of thermostats, and it’s only natural that the company add Google Home support to its offering. It’s not just thermostats that users will have control of, however, with Honeywell also bringing Google’s AI to some of its home security products. That means users will have complete control of setting their alarm and locking the doors right from Google Home. iDevices is yet another big supporter of Alexa, with its smart home switches and thermostat all being supported by Amazon’s AI. Now, Google Home users can also get the benefit of controlling those devices using the Google Assistant. iHome is traditionally associated with accessories for Apple products, such as alarm clock docks. Despite that, the company has been diversifying its product portfolio as of late, and that includes a range of smart plugs. Now the company is bringing Google Home’s voice control support to its range of smart plugs, allowing users to turn devices on and off with a simple command. Unfortunately, the company’s plugs are only available in the US. IKEA’s range of smart lighting can now be controlled using the Google Assistant. The affordable lighting solution is available globally in IKEA’s furniture stores, and can be controlled using an app, Google Home, HomeKit or Amazon’s Alexa. IFTTT is one of the most popular methods for linking together devices and services to create a cohesive smart home. Using IFTTT, users can create recipes which will turn the lights blue every time they receive a tweet, or call their phone just by using a simple voice command. Thanks to hundreds of thousands of recipes currently available on the service, many of the devices that are not yet available on Google Home natively can be controlled using IFTTT. Like Best Buy’s Insignia range, Iris is yet another product that won’t be coming to the UK anytime soon. That’s due to the fact that it’s developed by the American DIY retailer, Lowe’s. Iris offers a range of solutions for DIYers wanting to automate their homes, however. Its packs include everything from smart plugs and IP cameras to smart home hubs that link with third-party products. Having just launched a new skill for Amazon Alexa, Iris has now also added compatibility for Google Home. Currently Iris users can control lighting using Google Home, although the company has confirmed that more control options will be coming in the future. Those who own one of LG’s flagship Hom-Bot Turbo+ robot vacuum cleaners will be able to control it using voice commands with the Google Assistant. This includes scheduling cleans and beginning cleans immediately. These cleaners also boast a whole array of cameras that can act as security cameras, bolstering its smart home capabilities. Operating lighting through voice control is nothing new, and Google Home supports many different smart lighting manufacturers. One such manufacturer is LIFX, which has created both standard bulbs, as well as connected LED light strips. Those wishing to control their AV equipment using Google Home will need to pick up a Logitech Harmony in order to do so. That’s because the universal remote control supports thousands of speakers, TVs and Blu-ray players. In addition to supporting a wide range of AV gear, Logitech Harmony is now capable of controlling smart home devices such as Philips Hue light bulbs and August smart locks. 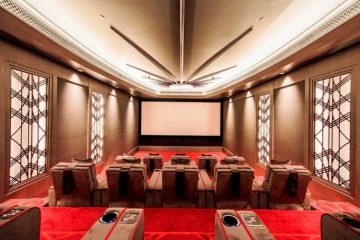 That means users can activate a ‘watch movie’ scene and have the lights dim, TV turn on, Blu-ray begin playing and the door lock – all with one voice action on Google Home. Lutron currently offers two Alexa skills for controlling its wide range of smart lighting solutions, although it has now added Google Home support as part of its repertoire. While there are two skills on offer for Amazon Alexa users, those using the Google Assistant will only be able to control Lutron Caseta products for the time being. 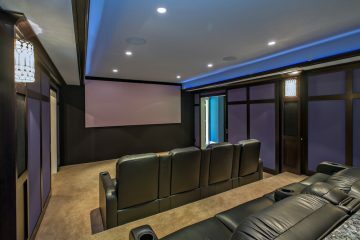 Lutron also recently announced support for its high-end lighting systems, GRAFIK RA 2 and HomeWorks QS. Neato’s BotVac robot vacuum cleaner can now be controlled using Google Home. Like the LG and Roomba robotic vacuums, users are free to schedule cleans using their voice. It’s only natural that an Alphabet-owned company would be supported on Google Home from day one. OK Google, what’s the temperature inside? OK Google, make it warmer. OK Google, make it cooler. OK Google, set the temperature to 68 degrees. OK Google, raise the temperature 4 degrees. Netatmo is the latest smart thermostat manufacturer to roll-out support for Google Home. Users of Netatmo’s affordable solution can control the temperature using the Google Assistant, but can also get updates on the temperature inside the house – a nifty feature not always offered by other smart thermostats. Netflix is one skill that Google can boast all on its own, as it’s something not yet supported by Amazon Alexa. That’s mainly due to the fact that Google Home is able to work in-sync with Google Chromecast. That allows it to cast video from the popular streaming video service to TVs around the home. If lighting control is what you’re after from a smart speaker, then Google Home has that pretty much wrapped up. That’s because it supports a wide range of lighting providers, including Osram Lightify. Through the added support, users with connected LED lamps and light bulbs from the Osram Lightify range can turn their lights on/off, as well as control dim the lights to their preference – all using voice commands. Philips Hue is the most popular brand of smart lighting, and it’s only natural that it’s supported by Google Home from day one. Using Google Home users can control everything from the light bulb colour to whether it’s physically on or off. Google Home also allows users to control scenes with Philips Hue. Once again, Rachio is a product that is not available in the UK. That’s predominantly because people this side of the pond don’t really need a smart garden sprinkler all that much; especially considering the copious amounts of rain that make up the great British weather. In the US, Rachio can control up to 16 zones of in-ground sprinklers and can be commanded to turn on and off using Google Home, or be set on a weather delay. iRobot’s Roomba is the most popular robotic vacuum cleaner on the market, and it’s also one that can be controlled using Google Home. Scheduling cleaning is an absolute breeze with the voice assistant, although Google Assistant isn’t the only AI that can assist. Roomba is also compatible with Alexa. Samsung SmartThings is probably the dominant name in smart home hubs for the consumer sector. That’s because it already boasts support for countless devices from the likes of Fibaro, D-Link, LIFX, Honeywell and Yale. Like IFTTT and the Logitech Harmony, if a device isn’t supported natively by Google Home, then chances are it could be supported via SmartThings. That means users with a SmartThings hub should still be able to control all of their devices, whether they’re supported natively by Google Home or not. Tado° is yet another smart thermostat manufacturer that is supporting Google Home, although its offering is a little special. That’s because it can provide multi-zone heating control through its Smart Radiator Thermostats. By adding Google Home support, Tado° is also now supported by three major smart home platforms; Alexa, Google Assistant and Apple HomeKit. The UK’s largest supermarket chain is hoping to make it even easier for its customers to shop on its online store. That’s why Tesco has developed an IFTTT skill which can be used with Google Home for adding items to the shopping basket using voice control. Thanks to its support of IFTTT, users can even use this particular skill on the Amazon Echo. Those forever losing their personal belongings now have a quick and easy way to find them, and all that’s required is a simple voice command. The Tile Bluetooth tracker is often attached to keys, smartphones or any other valuable belongings, and with its support for Google Assistant, users can now ask where their belongings are to have the Tile emit an audible alarm – allowing for easy location. TP-Link is known more for its routers than its smart light bulbs, but the company is keen to ensure that its lighting range is supported by as many assistants as possible. Through that effort, they’re now supported by Google Home. Vivint is currently one of the only smart home skills supported by Google Home that requires professional installation. That’s because it’s a whole-home system, rather than a mishmash of individual devices that happen to connect to a central hub. Through Google Home users will be able to control a wide range of products that connect with Vivint, including cameras, lighting, thermostats, security systems, and garage doors. Wink may not be available in the UK, but the smart home hub has been insanely popular in the US. Like SmartThings, users are able to control a wide range of devices that may not be natively supported by Google Home itself. That includes everything from light bulbs to dimmers to outlets. The Carrier Côr Wi-Fi thermostat will officially be supported by Google Home soon. While a firm date is yet to be given, the company confirmed in a statement to CE Pro Europe that Google Home support is the next step in its smart home strategy. It’s already available on Amazon Alexa. Energenie’s devices are all about saving users money and energy, and it does so through a range of power outlets, radiator valves and other products. While the company is not yet available on Google Home, it does encourage its users to utilise the IFTTT skill that it has created as a stop-gap. Of course, the company does stress that Google Home support is coming in the near future. Although it couldn’t commit to a timeframe. Haiku Home has created a range of smart ceiling fans and lighting solutions, although users can only use voice control with those devices using Amazon Alexa. 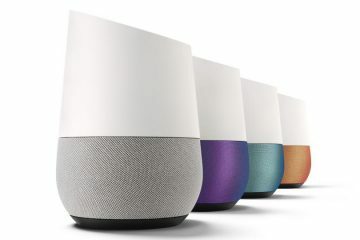 Thankfully, the company confirmed to CE Pro Europe that Google Home support is on its roadmap for future integrations, noting that it should have more information in the next few months. Nanoleaf’s range is currently one of the most unique in the smart lighting sector, and it already supports control through Amazon Alexa. The company is now aiming to support Google Home, with a tentative release scheduled for May 2017. Until then, users are free to connect their Nanoleaf devices to IFTTT for controlling through Google Home. While smart thermostats are always amongst the first to receive support, Sensibo is preparing to bring its smart AC controller to Google Home. Unlike some other connected AC units, this one isn’t actually an air conditioner. In fact, this one simply connects to third-party ACs from the likes of Carrier, Frigidaire, Toshiba and Electrolux. Speaking to CE Pro Europe, the company confirmed that Google Home support will be coming in the next few weeks. Tuya dubs itself ‘the world’s leading IoT platform’, offering OEM products for controlling just about anything. That includes smart AC, smart lighting and smart plugs, alongside a whole range of other products that one would typically not expect – such as air purifiers, and smart juicers. The Venstar ColorTouch will soon be yet another option for users looking for a smart thermostat with Google Home control. The company confirmed to CE Pro Europe that its functionality is currently going through certification, with an announcement tentatively scheduled for May. Unlike traditional smart home hubs, Yonomi doesn’t require a physical device. Instead it functions through a single app, and then allows users to tie together different devices that typically wouldn’t work together. That includes Belkin Wemo, Nest Learning Thermostat and Sonos speakers. Yonomi is essentially IFTTT by a different name, although it has gained popularity for its focus on smart home devices. Speaking to CE Pro Europe, the company confirmed that Google Home support is coming, but with additional functionality over what users can currently enjoy with Alexa. “Google Home is definitely on our list of products to integrate with soon. The Google Home/Assistant integration is a little bit more involved than our current Alexa Smart Home skill so we’re taking our time to get it right — but it should have a number of new features that the current Alexa Smart Home skill doesn’t have once we’re done. Zipato is billed as the smart home in a single device, supporting the functionality of a smart thermostat, smart home controller, and a security system. The company recently added Alexa control to its repertoire, although it’s now working on Google Home support. It should be available by the end of the year. 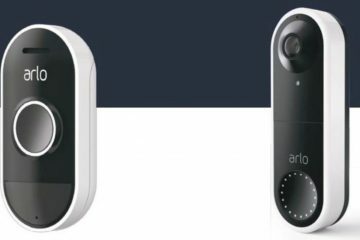 The Blink security camera can currently be armed and disarmed using Amazon Alexa, but the company is still undecided on whether to add Google Home functionality. Google Home users are able to get Blink working through IFTTT, however. Eero dubs itself ‘the world’s best-reviewed Wi-Fi system’, although it won’t be available on Google Home just yet. The company says that it’s “always exploring new integrations,” but it has nothing to announce right now. Plex is a DIY media server, allowing users to access all of their favourite TV shows, movies and music remotely, and on just about any device. The company recently launched an Alexa skill for queuing up and playing media on certain devices, although in a statement to CE Pro Europe Plex confirmed that it was currently exploring whether to bring that functionality to Google Home. Plex certainly makes more sense on Google Home, with the device capable of streaming content to Chromecast natively. Current Alexa functionality leaves out support for Chromecast, meaning it could be popular with Plex users. 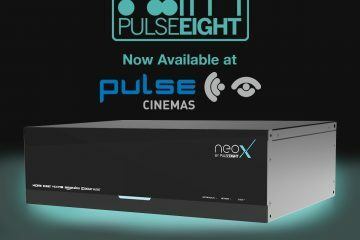 Pulse-Eight’s neoMatrix is a device specifically for the custom installation community, and it can already be controlled using Alexa. The company is keen to add Google Home support, although Google’s developer restrictions are proving difficult. Scout Alarm can be armed and disarmed using Amazon Alexa, and the company is currently exploring whether or not to bring that same functionality to Google Home. Thankfully, Google Home users will be able to utilise its IFTTT compatibility for the time being. Crestron was one of the first professional smart home manufacturers to support Amazon Alexa, although Amazon’s voice assistant is still yet to launch in the UK. Despite that, the company couldn’t confirm whether Google Home support is on its roadmap.